Manufacturer of a wide range of products which include corner cutting machine and non ferrous cutting machine. 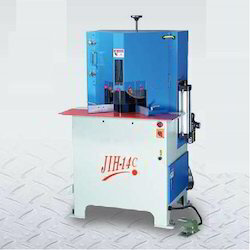 Our organization is placed among the noteworthy organizations, engaged in presenting an excellent assortment of Corner Cutting machine. This machine is used in a variety of industrial sectors for cutting parts, metal sheet, pipe, tubes and other hard machinery parts. The machine is appropriate for the entities that require processing of bulk cutting. This machine has high-quality rigidity, and optimum strength. Apart from this, the clients can get the machine configured as per business requirements. 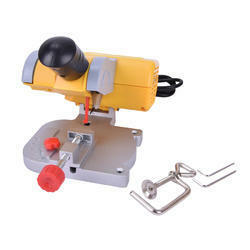 The range of Non - Ferrous Cutting Machine are appreciated widely for high efficiency and sturdy construction. These blades are developed with narrow strips of high grade steel alloy that is blessed with high tensile strength. Further, we produce bi-metal band saws and carbon band saws with width sizes of 3 to 80 mm in various thicknesses level depending on the material to be cut off. Band Saws can be both endlessly welded or supplied on a coil.